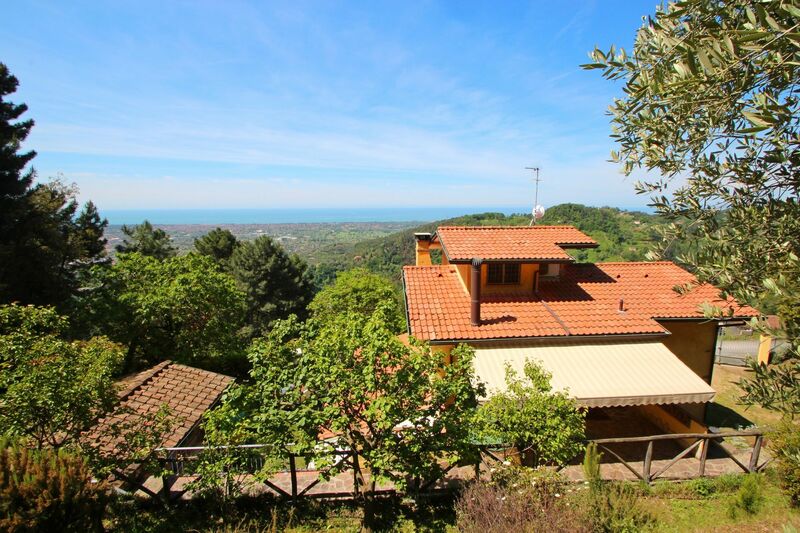 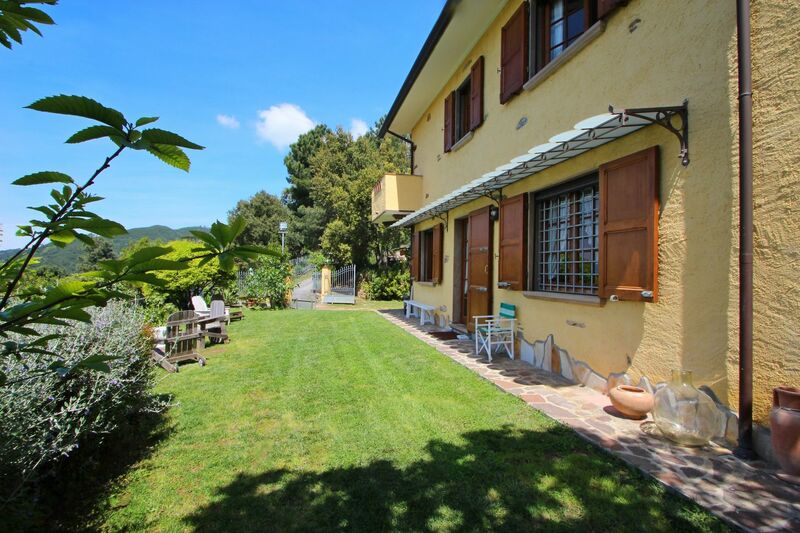 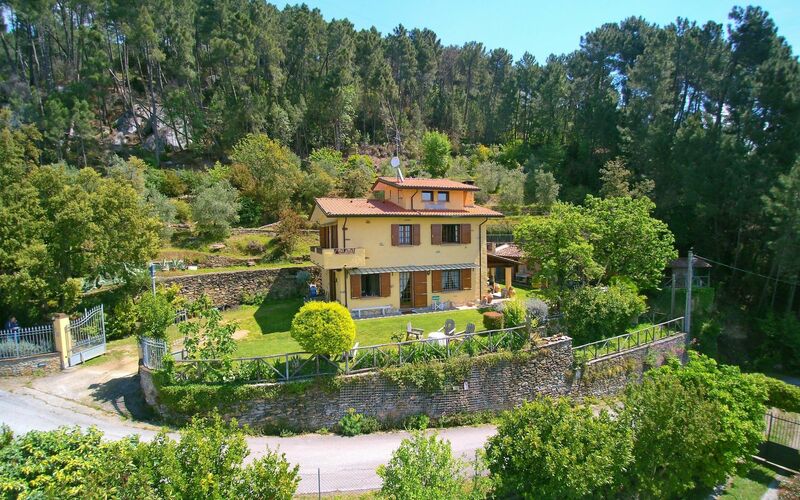 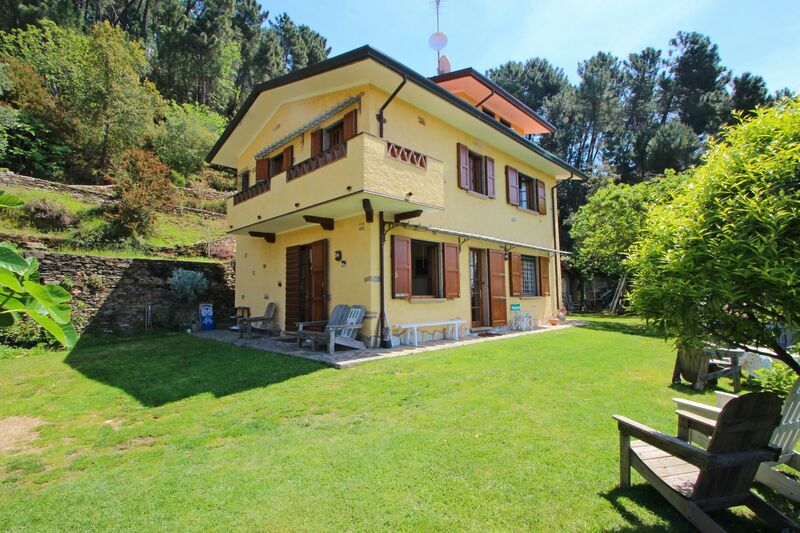 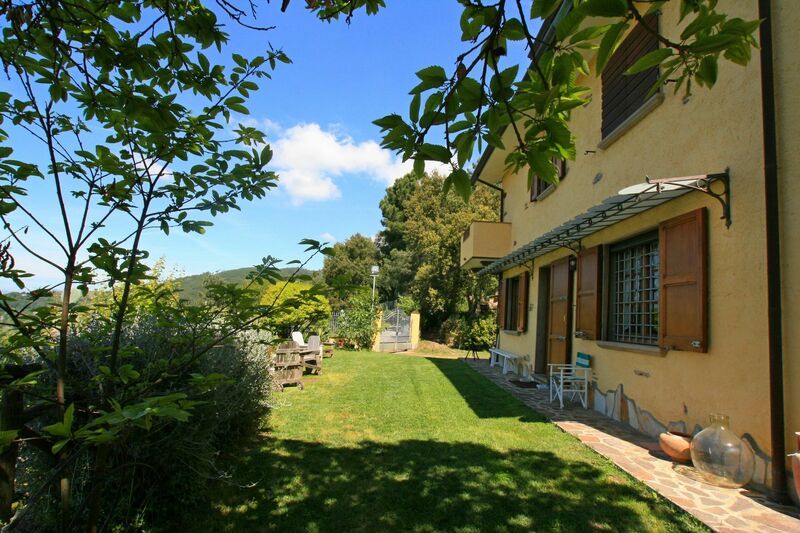 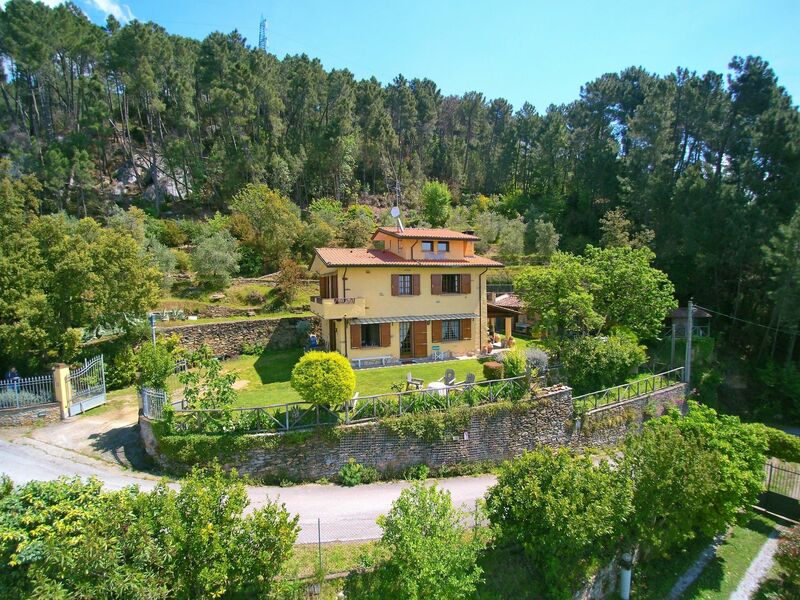 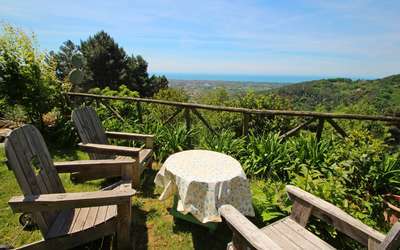 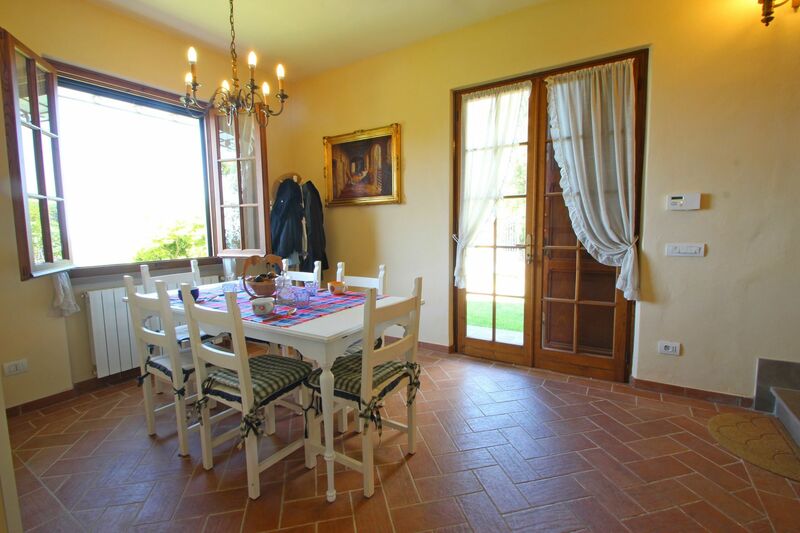 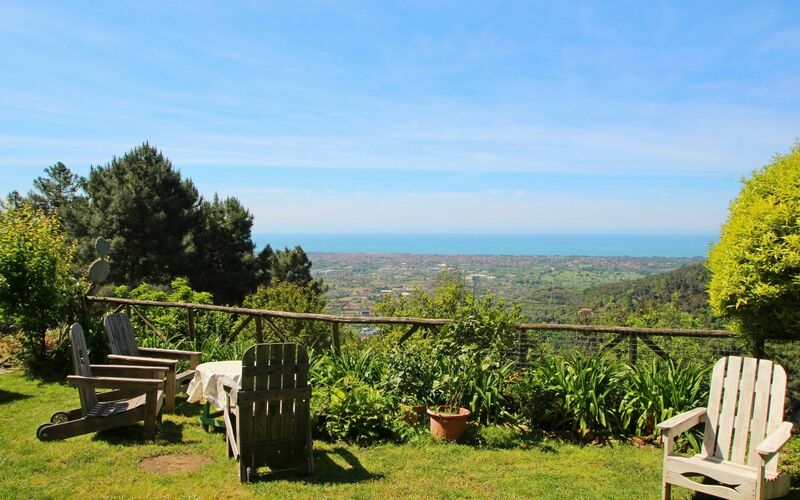 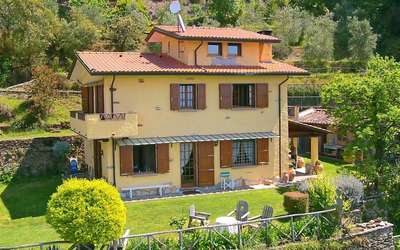 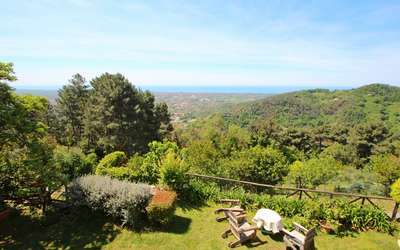 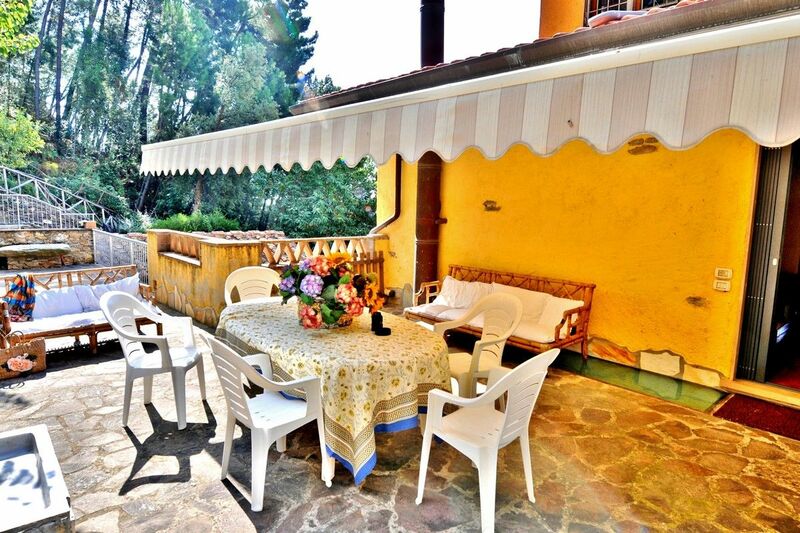 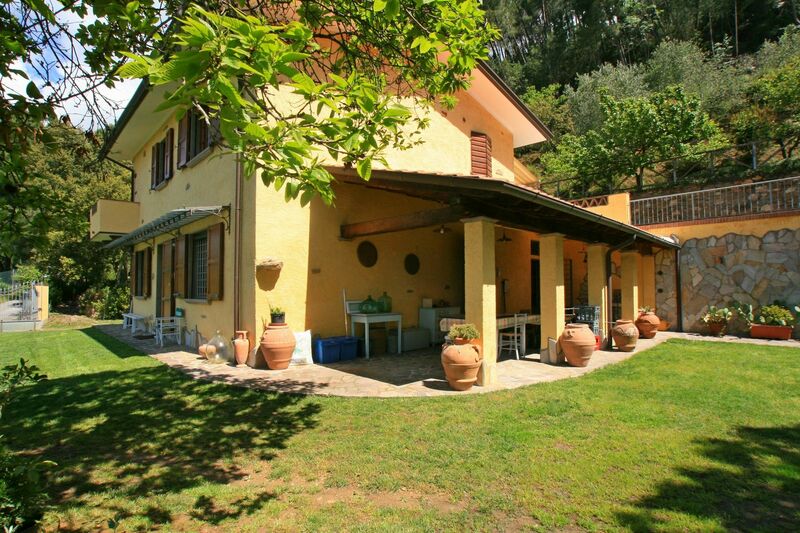 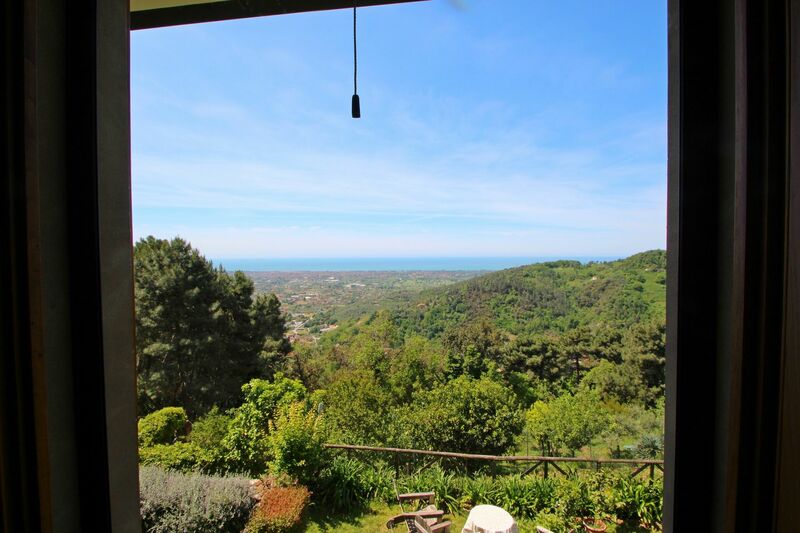 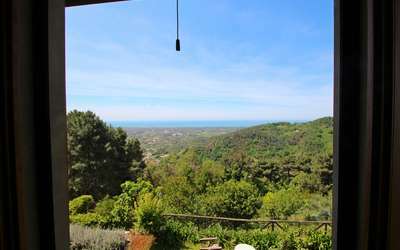 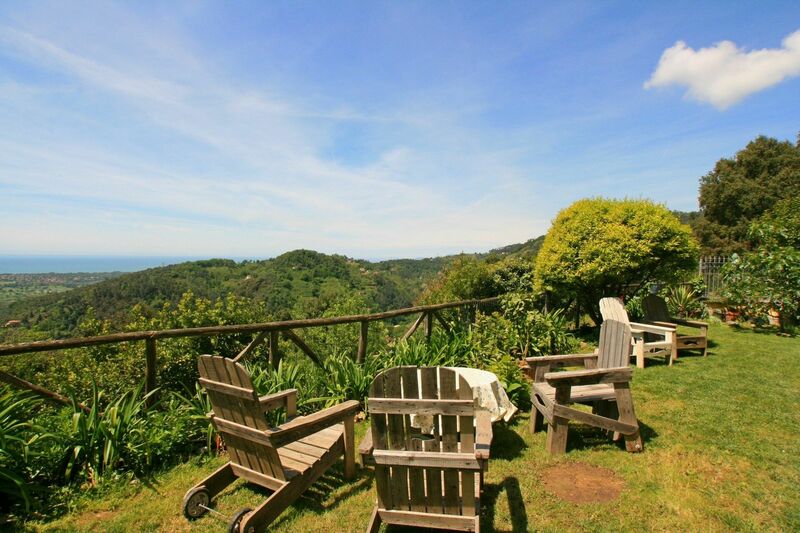 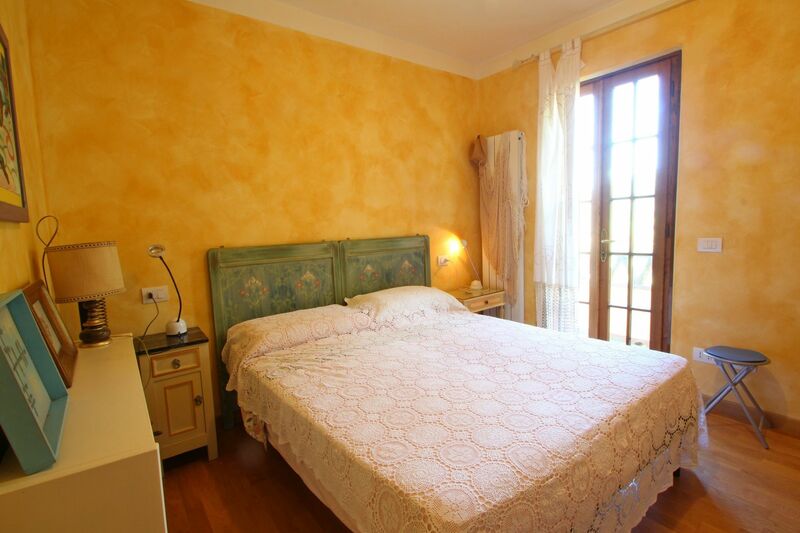 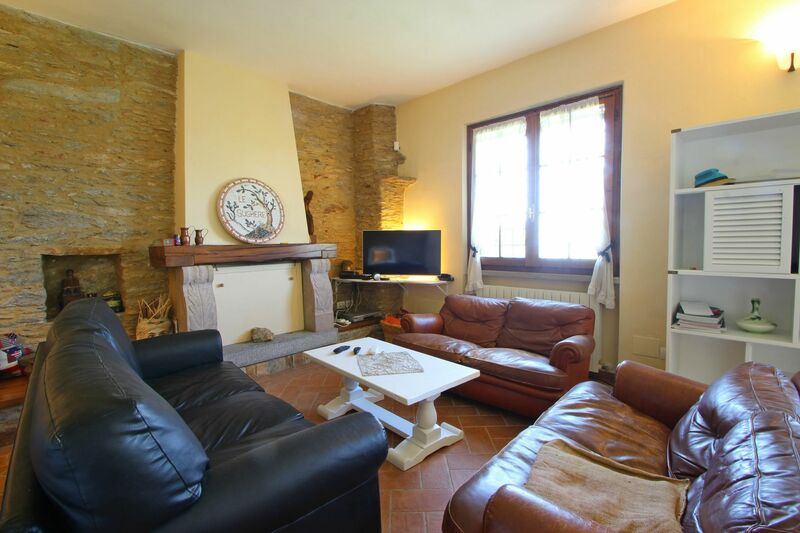 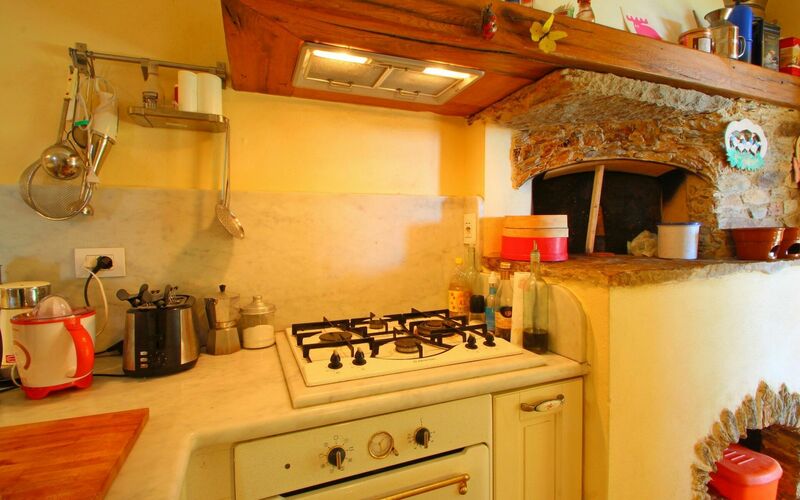 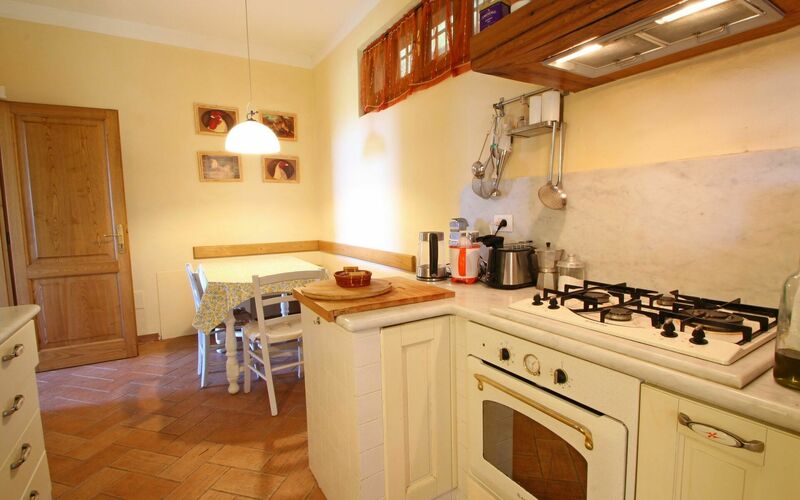 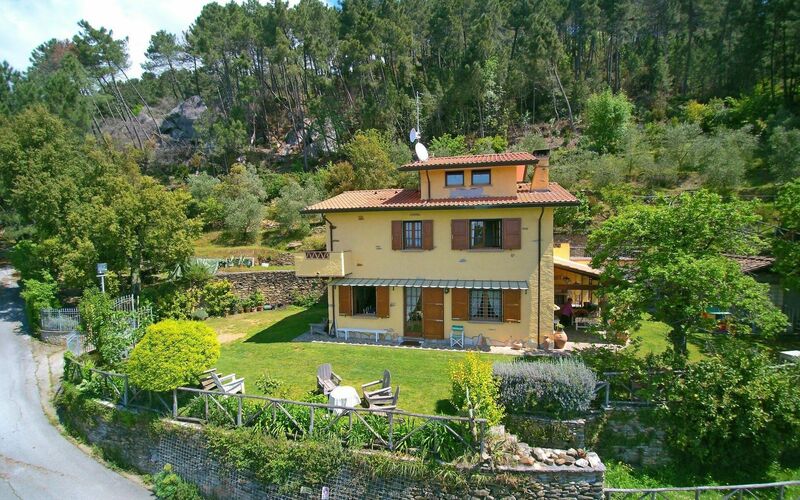 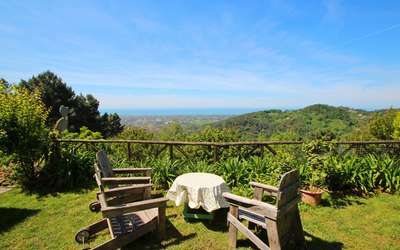 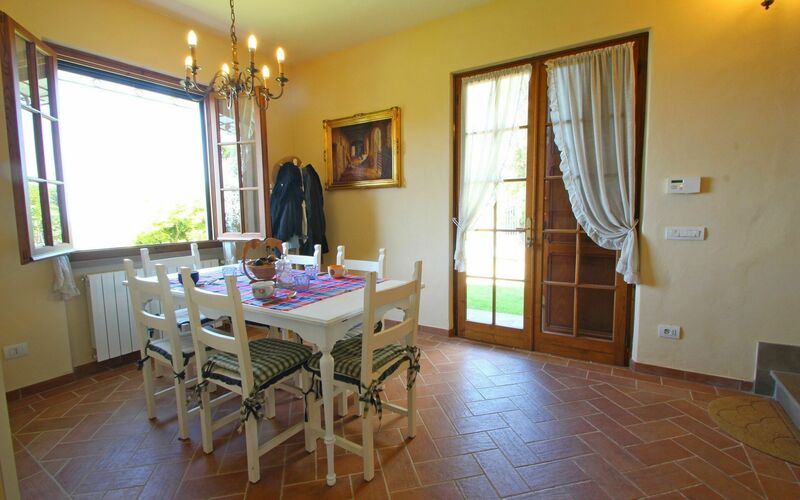 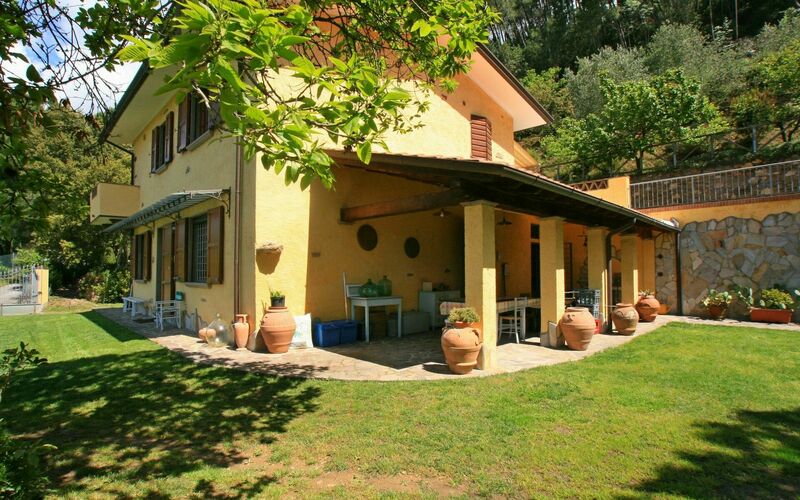 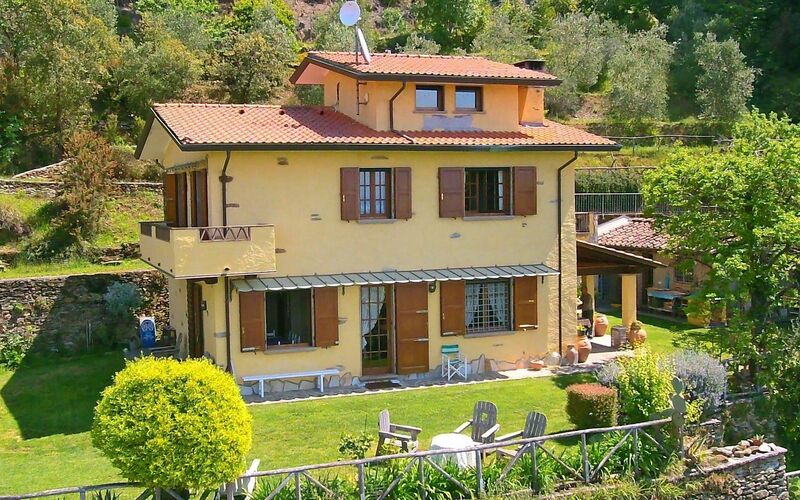 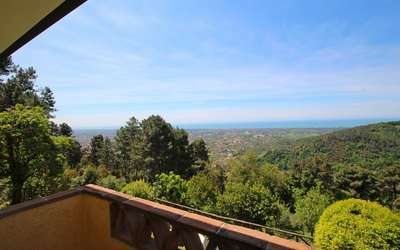 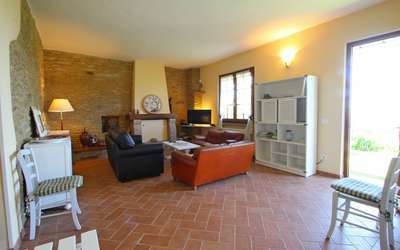 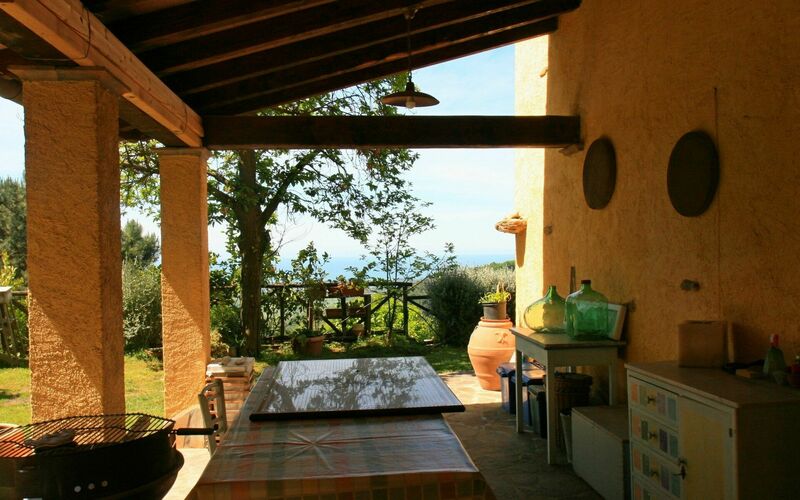 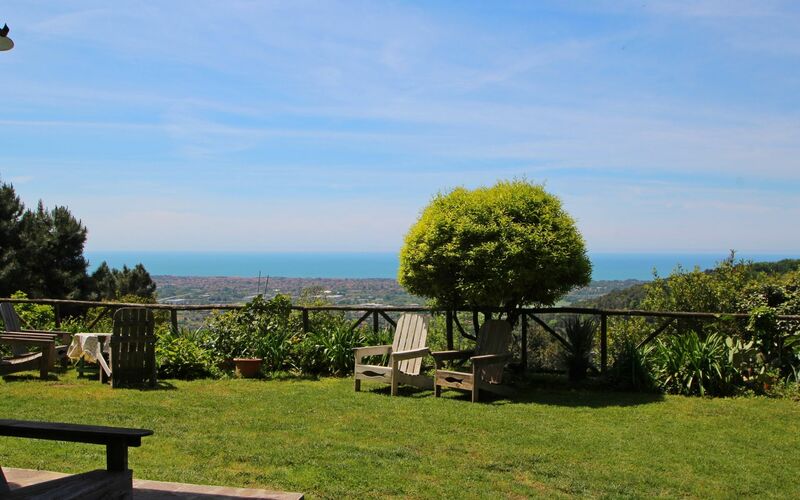 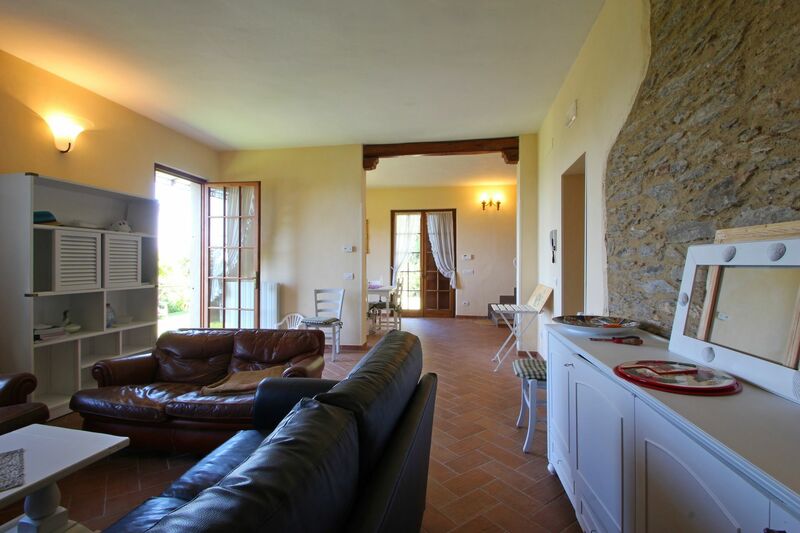 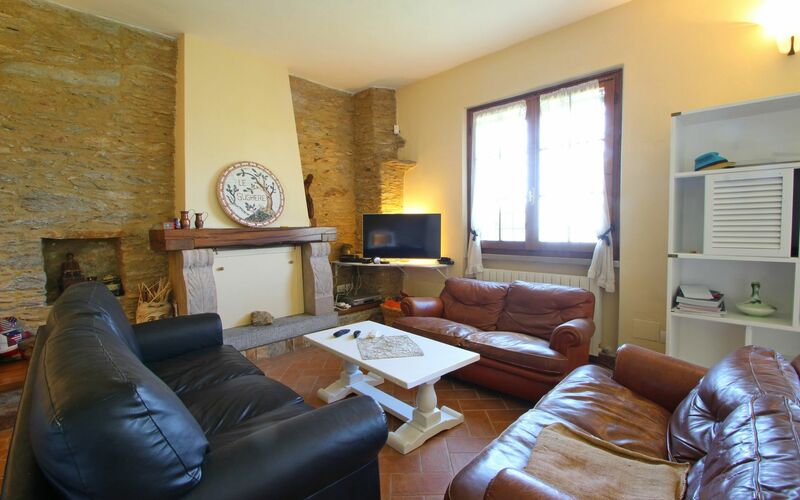 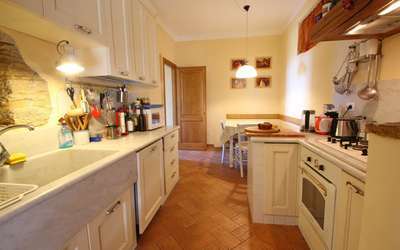 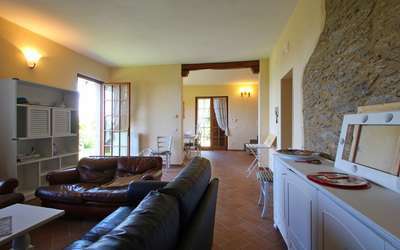 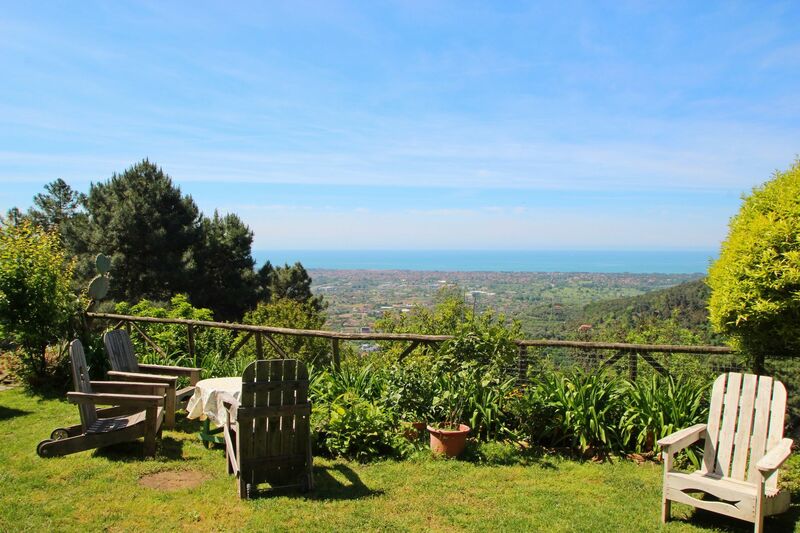 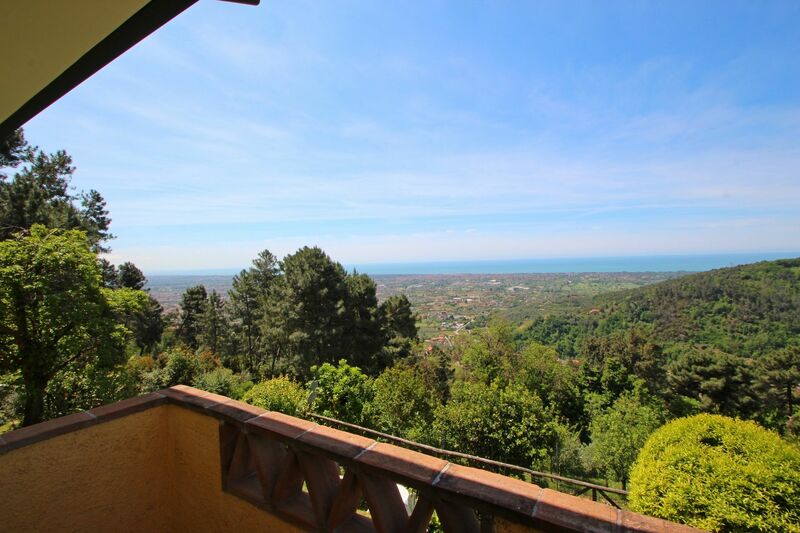 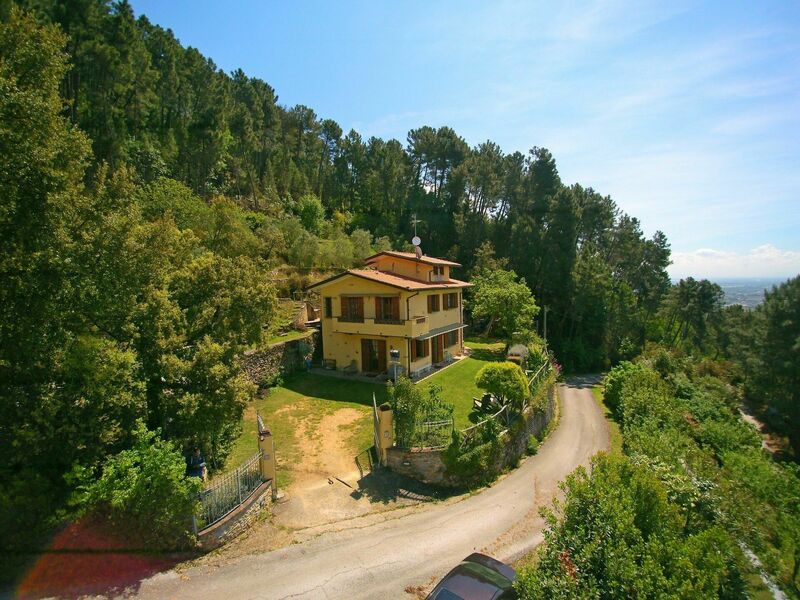 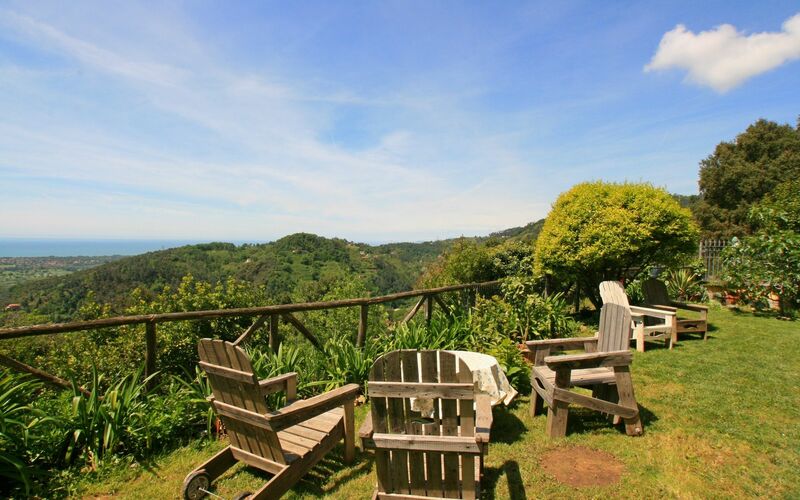 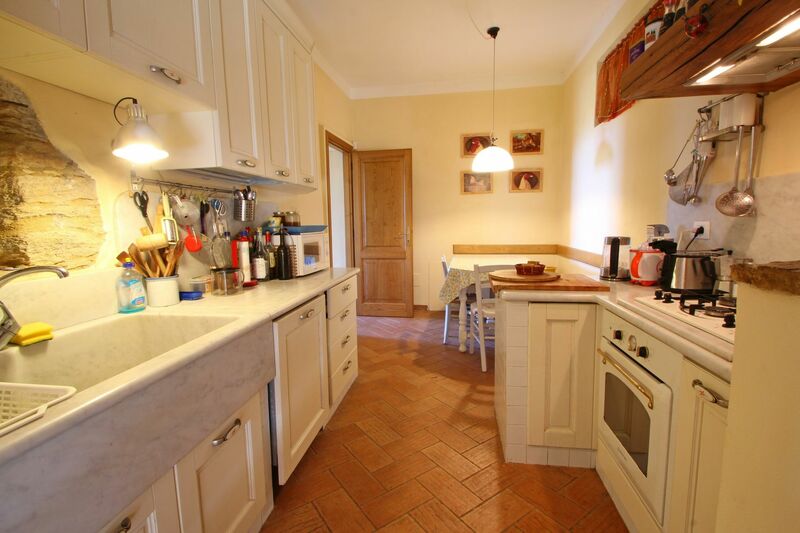 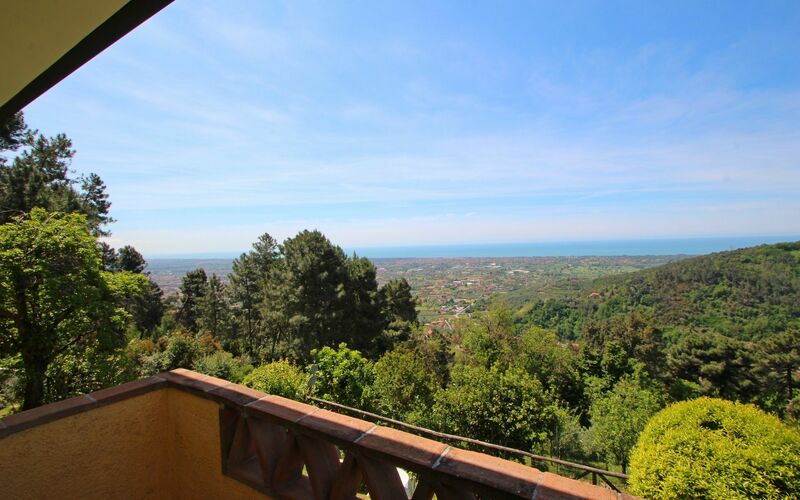 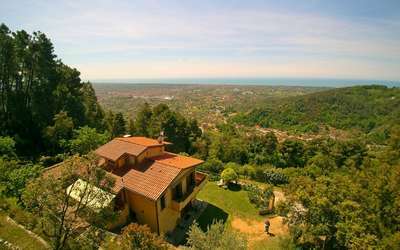 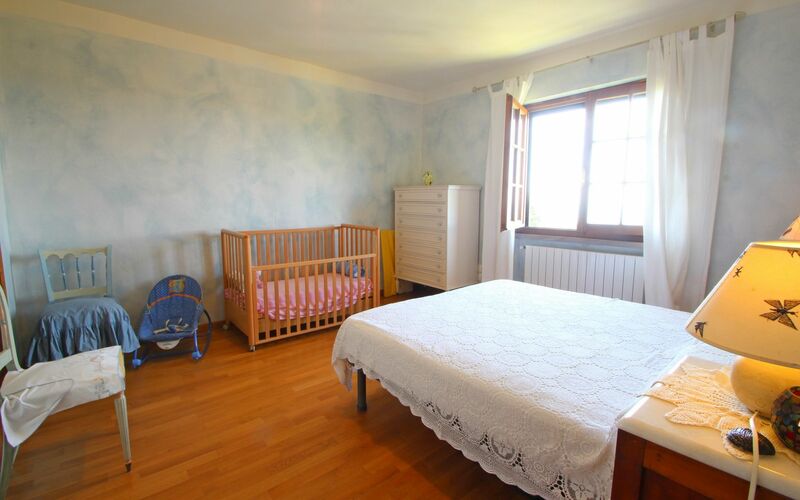 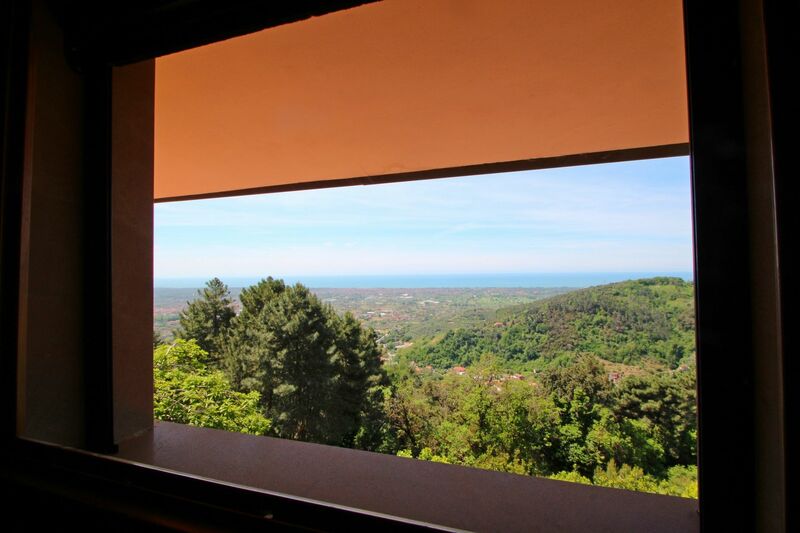 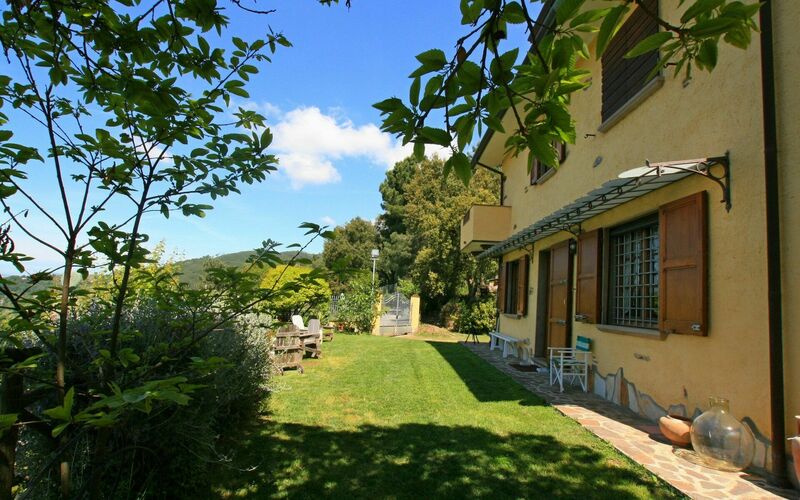 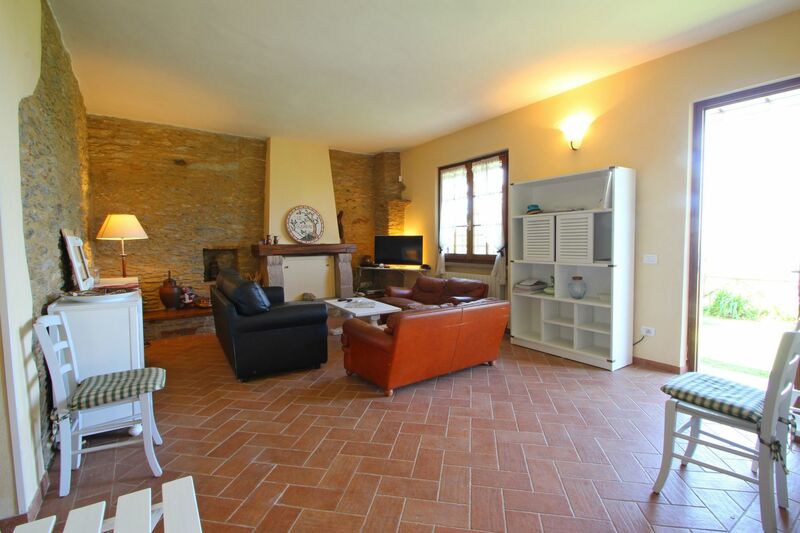 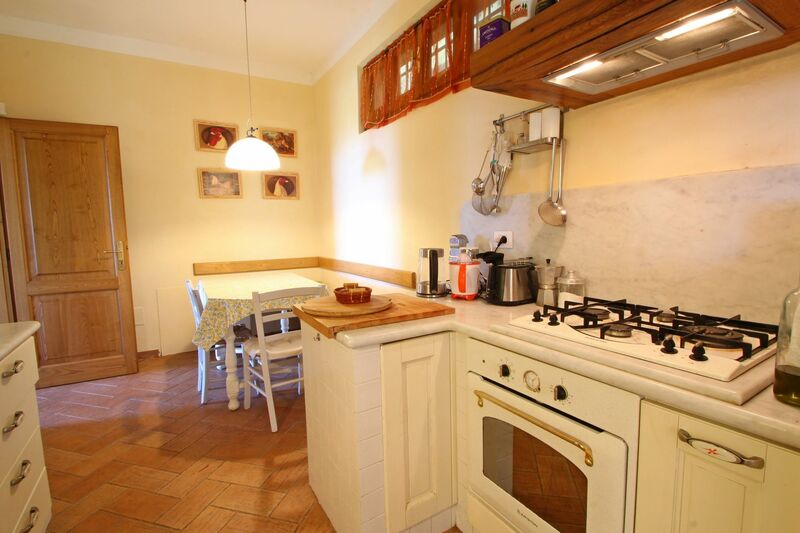 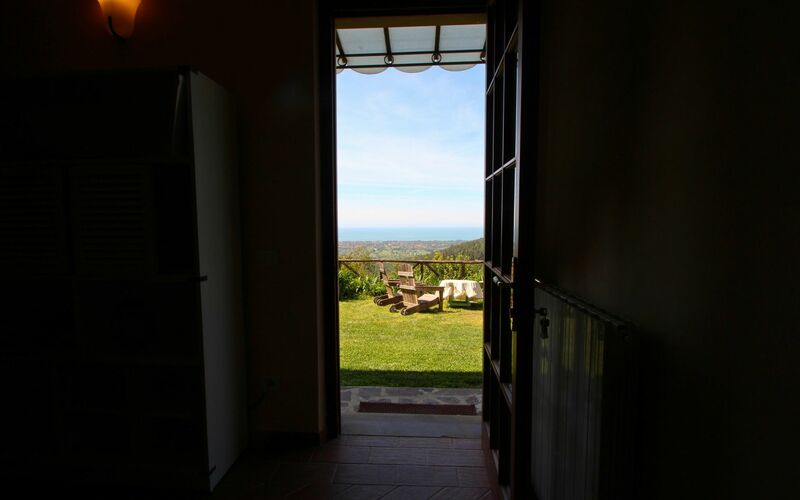 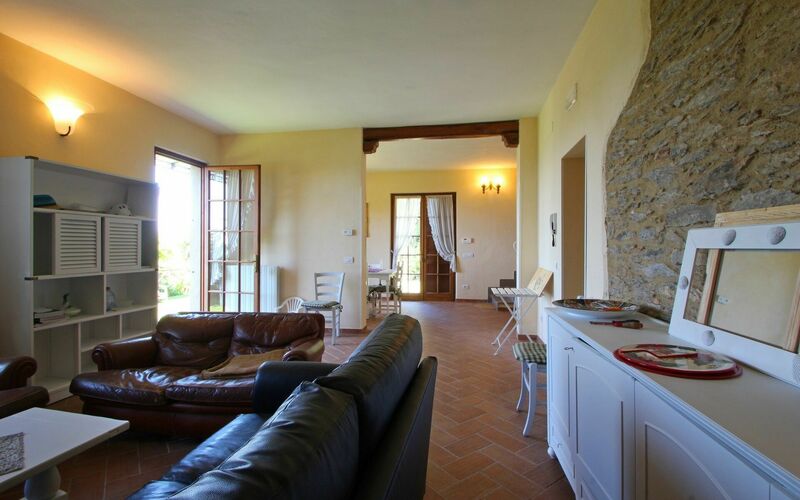 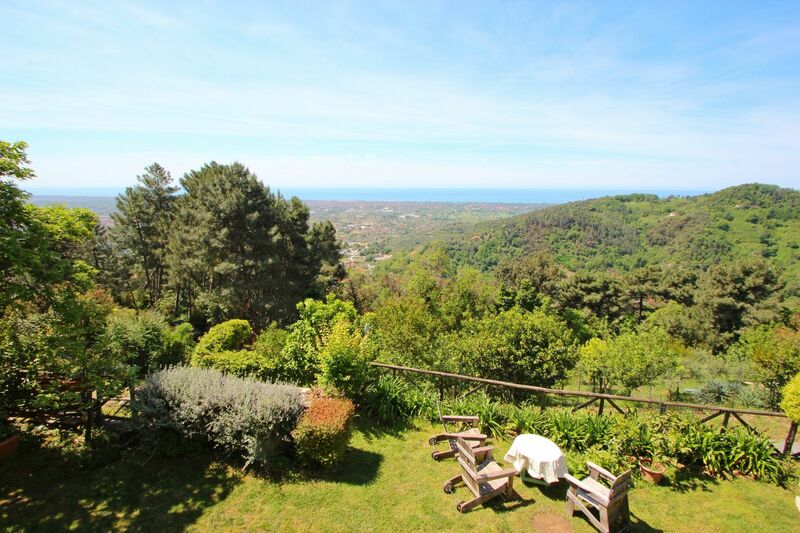 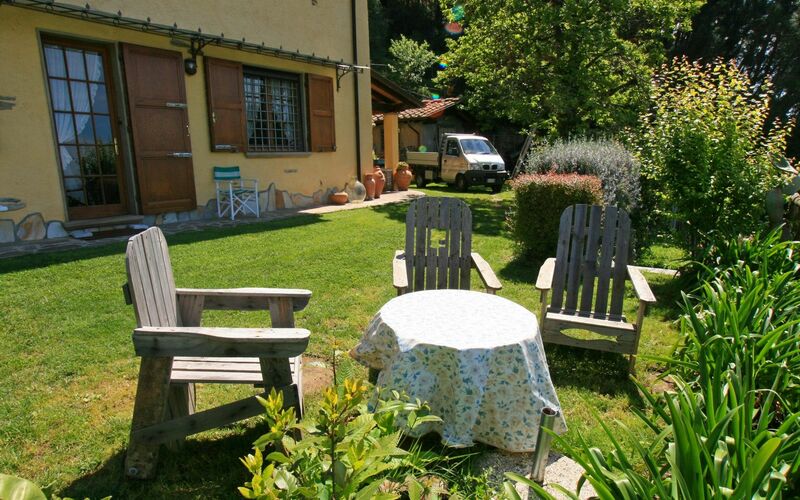 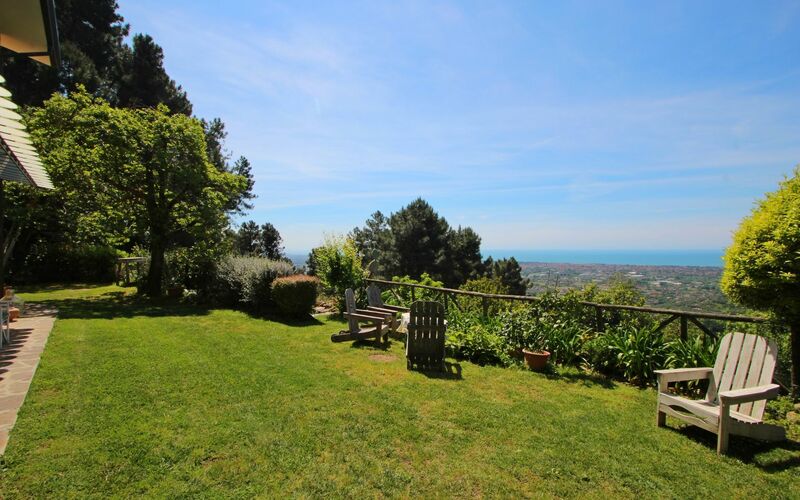 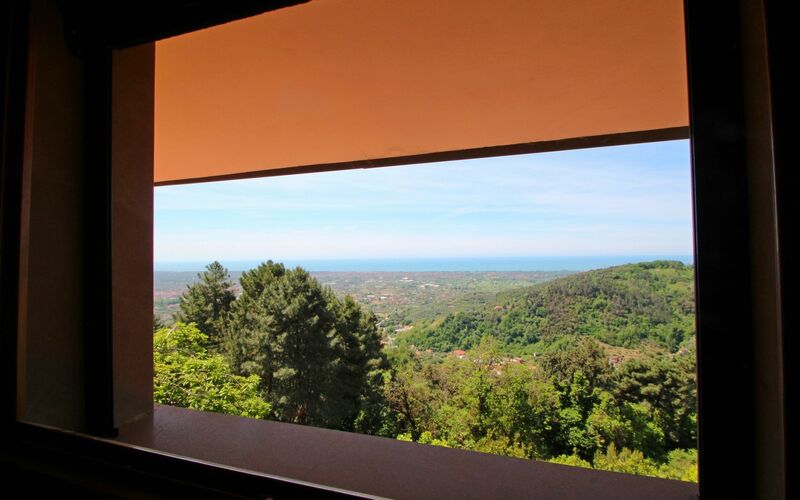 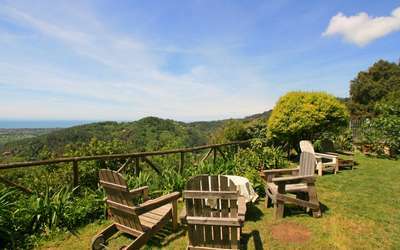 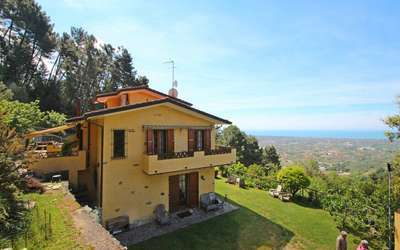 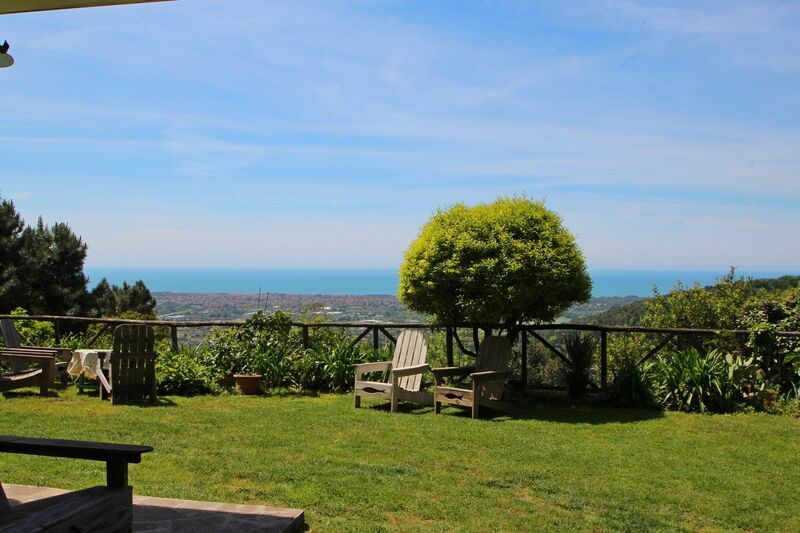 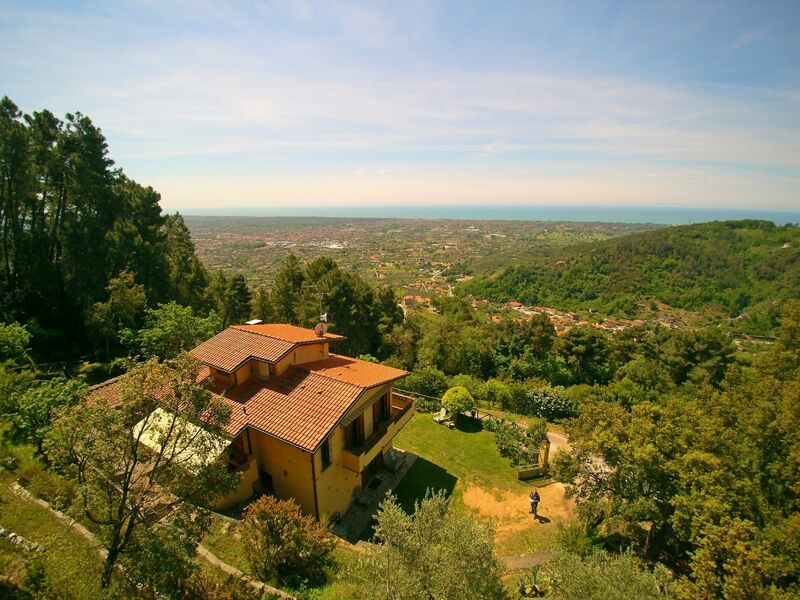 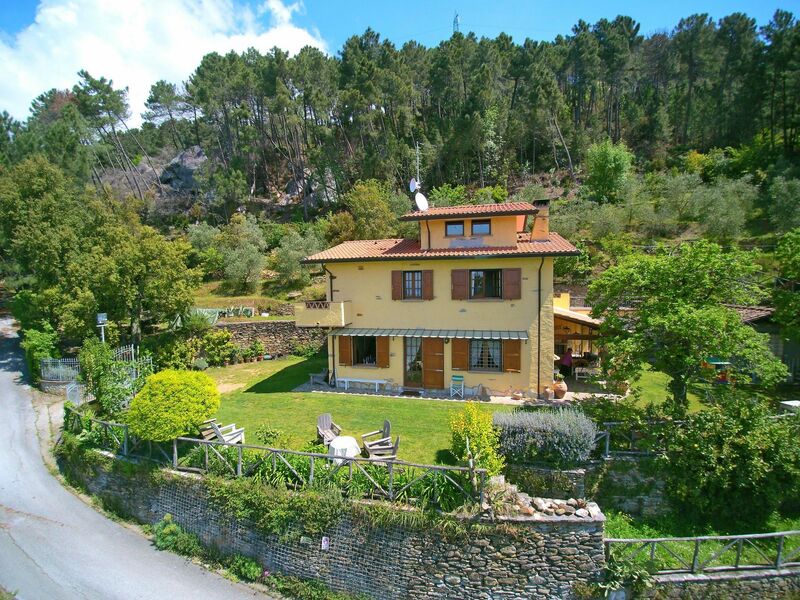 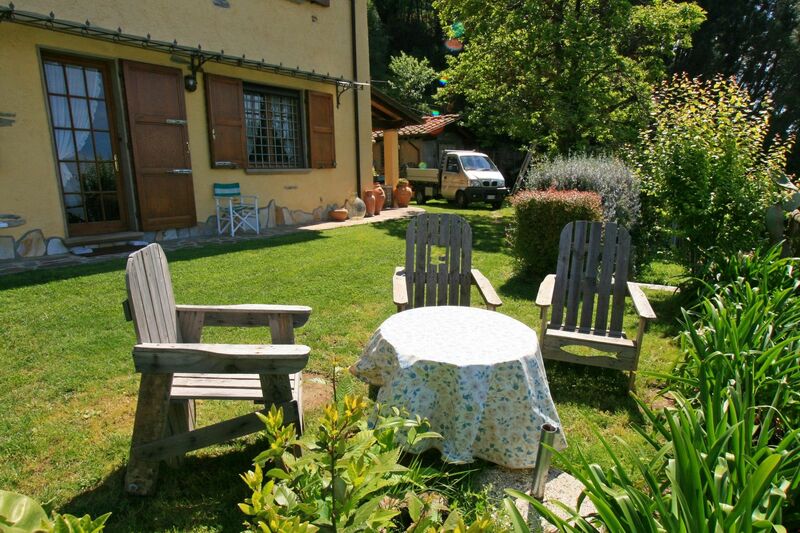 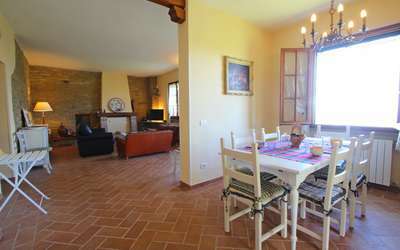 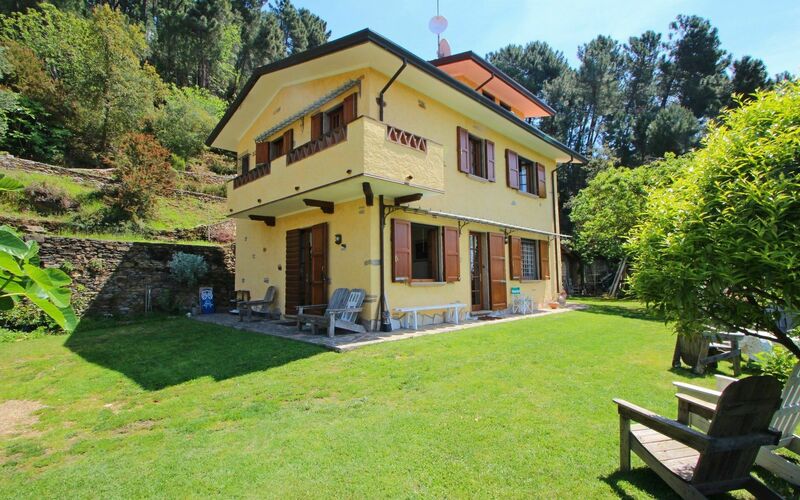 Fully Private holiday home in Tuscany-Versilia with sea view. 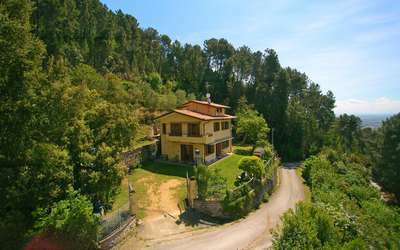 The location: Montebello is between Montignoso and Pietrasanta and belongs to Strettoia. 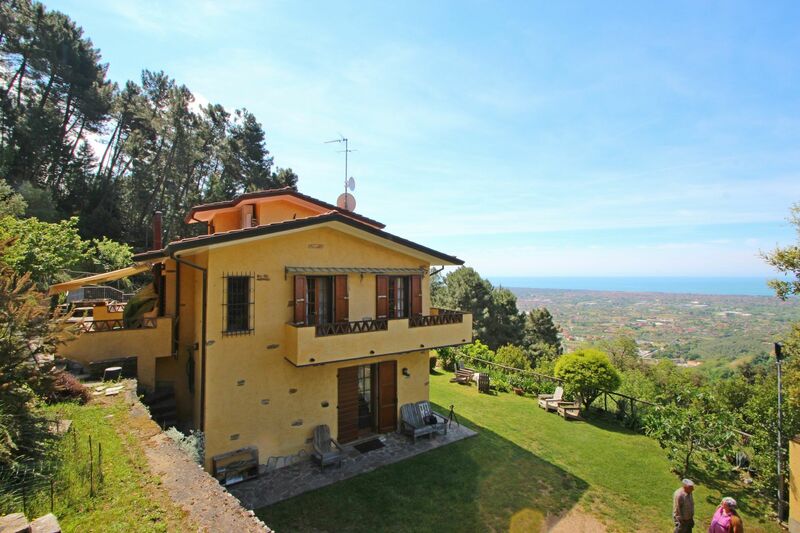 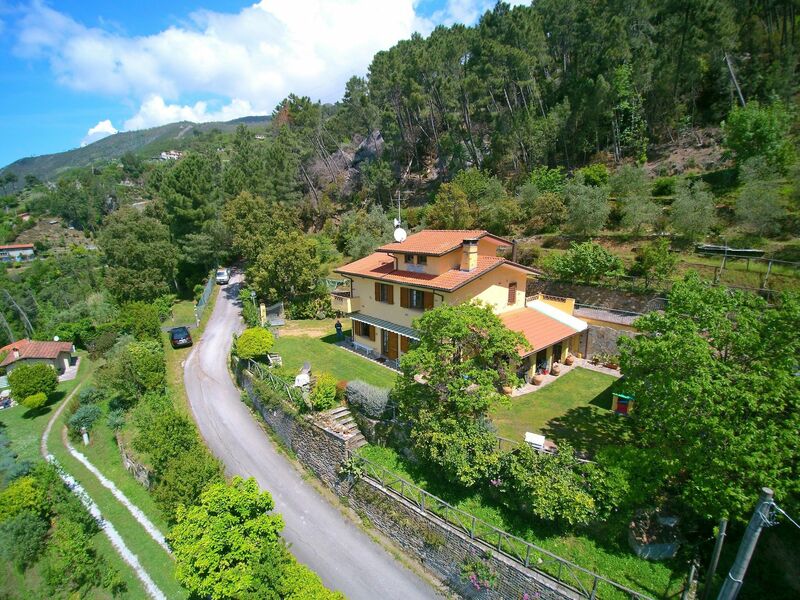 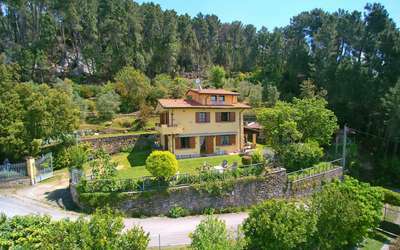 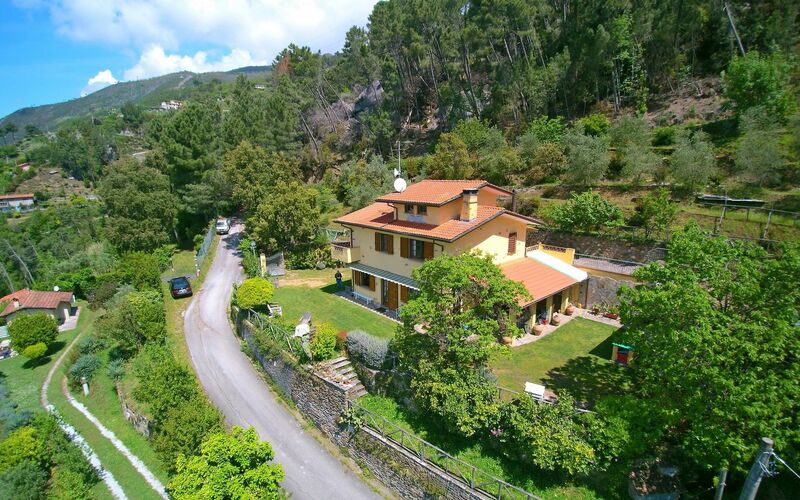 It is a strip in the first hill above the sea overlooking Forte dei Marmi, the hillside landscape and the sea. The nearest airport is in Pisa, about 40km away. Florence is about 100km away, the coast of Cinque Terre 40 and can be reached by car as well as by ferry, which departs every day from Marina di Massa during summer. 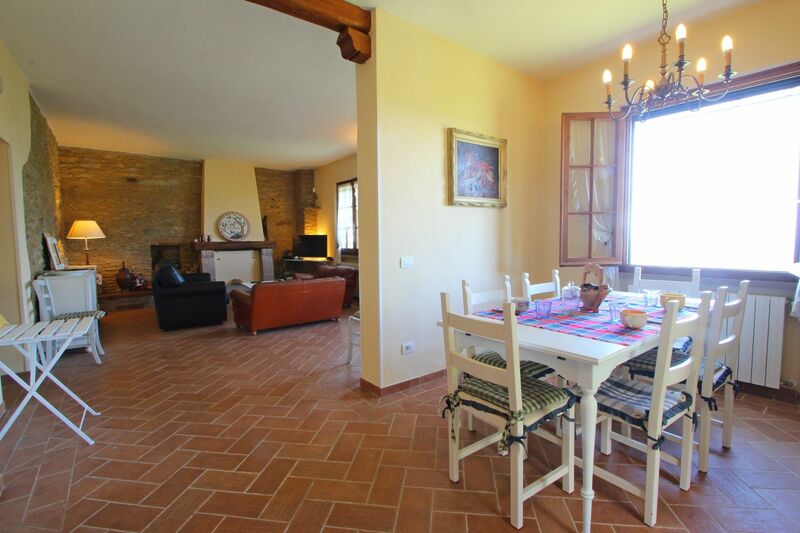 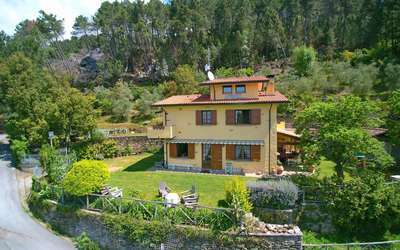 The holiday house is fully private with a terraced garden of approx. 2000qm. 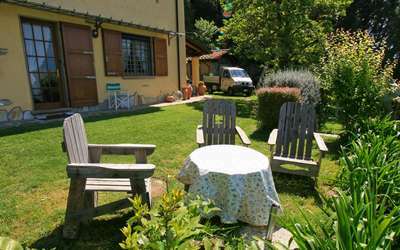 2 to 3 cars can park in the garden. A covered pergola with seating behind the house, another on the first floor behind it. Barbecue. Beautiful sea view. 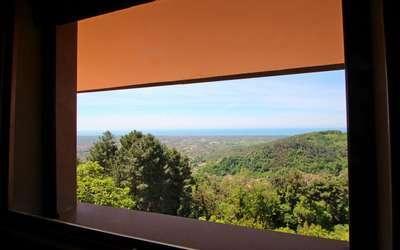 All windows have mosquito nets. 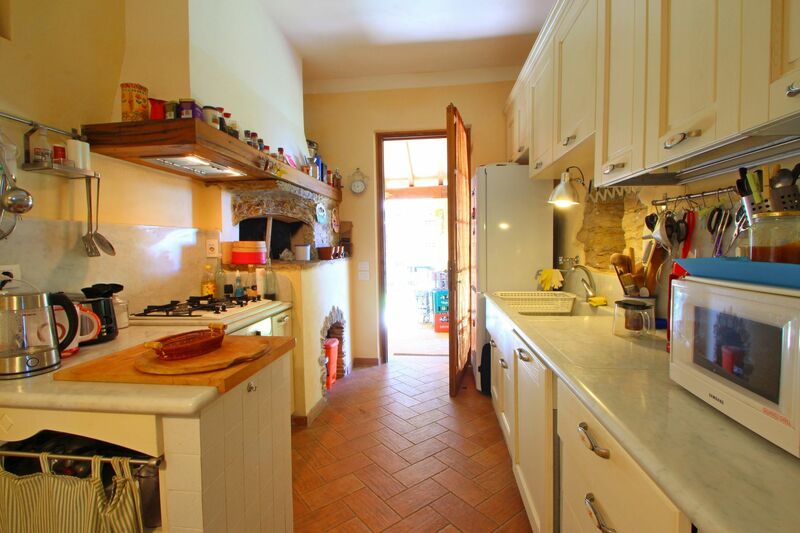 First shopping possibility in 2km, there also a pizzeria and tobacco shop. 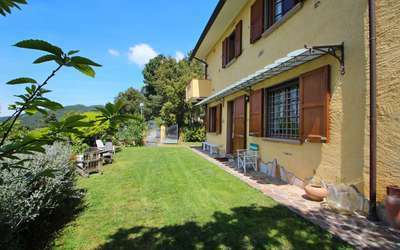 Supermarket in Forte dei Marmi in about 5km. 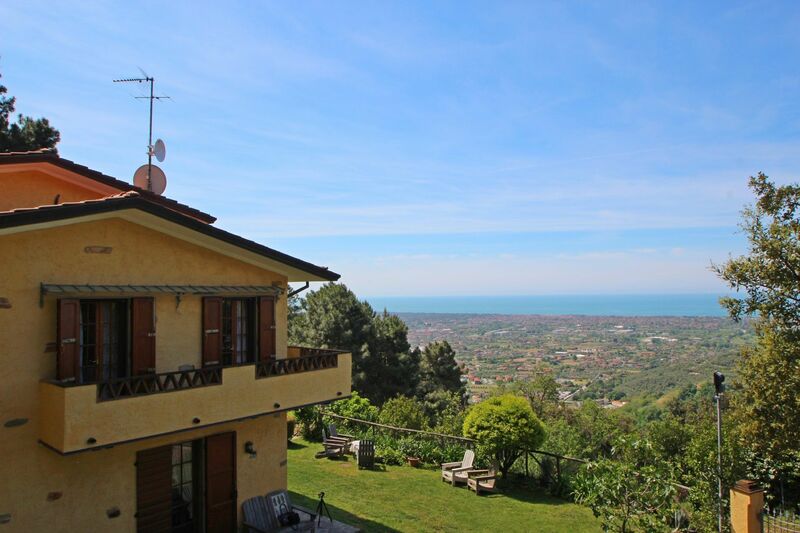 The best beaches of Versilia in Forte dei Marmi are 7km away. You drive from the road through an automatic gate into the garden. Ground floor: living room with fireplace, dining room, WC and kitchen (pizza oven, 4-burner stove, microwave, fridge with freezer, dishwasher, oven, toaster, water cooker, mocha coffee machine). 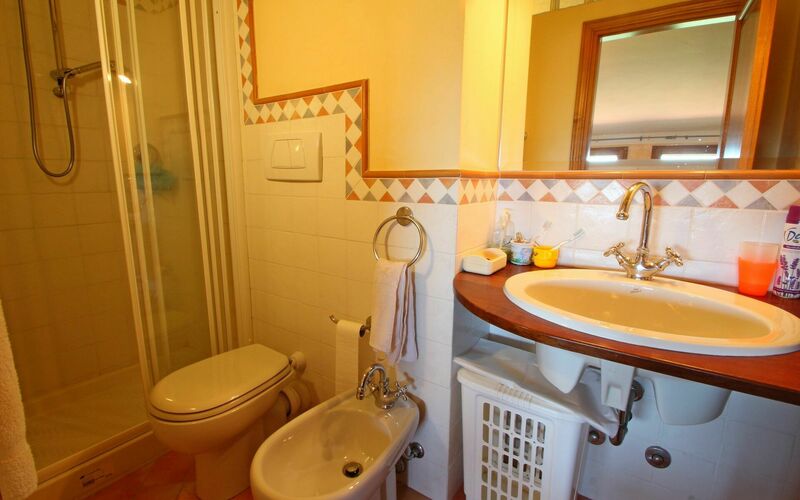 - 1 double bedroom with private bathroom and window with sea view. 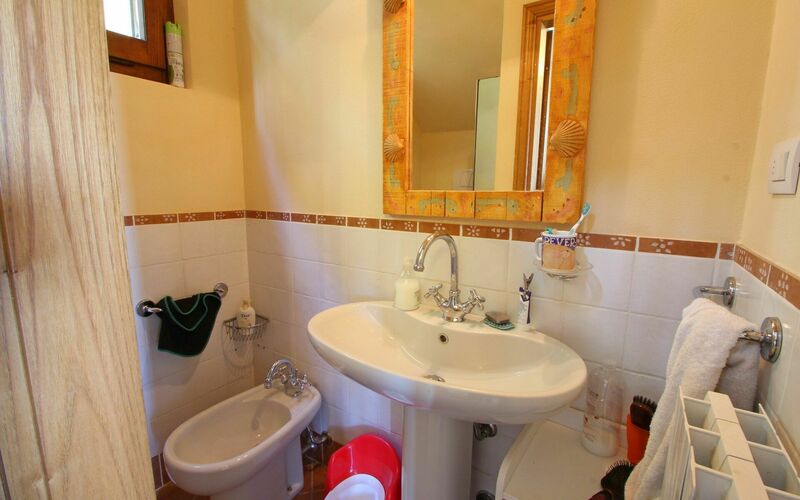 - 1 double bedroom and 1 single bedroom - both have to a balcony. 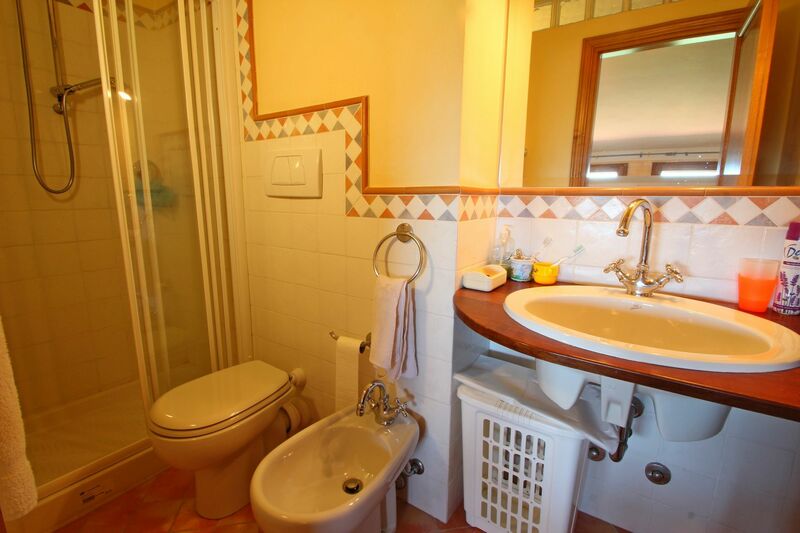 From the first floor also the large rear terrace is accessible. 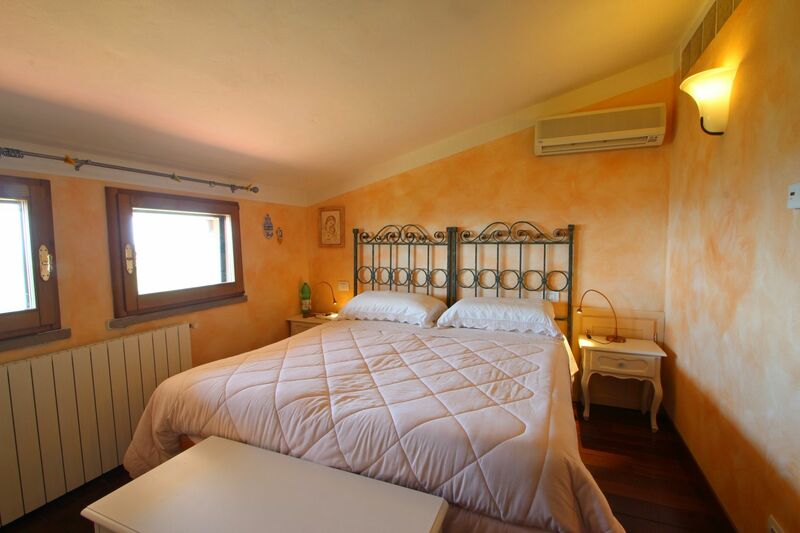 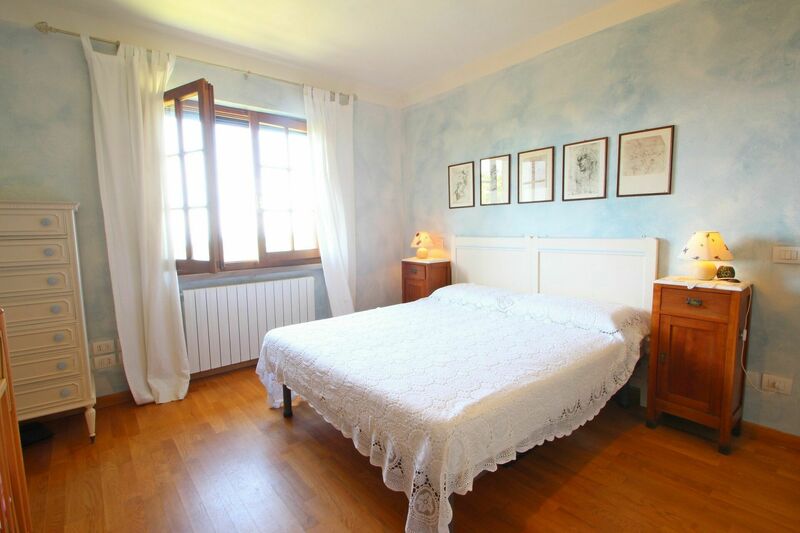 On the second floor (attic) is a double bedroom with private bathroom and sea view.